Sorted. Flying to Santander, staying in Bilbao Friday to Sunday. Only thing I'm worried about is the tickets. I'm getting them off an English guy who pm'd me here. They're printable PDFs, but I figure if you're going to rip someone off you don't give them bank details and contact details etc. That looks a bit like....Boris Johnson. Printed the tickets last night. All anticipation now! Good morning guys, i rent two double room in the center of bilbao, 5 minutes from the stadium and the rest of important things, one room has a double bed and the other a bunk bed. Im looking for 4 responsible people or a family , if they were 5 maybe we could do something too. i leave my number in case you are interesting +34 685774065. Write to me if you are and thank you. Good luck in the finals. I was considering this option but I waited until we qualified for the final, and because of leaving it so late, Madrid was the only relatively reasonably priced weekend option. It involved a long train/car journey though and there's only 2 of us travelling so we ended up going for a day trip in the end. More expensive but less travelling once you hit Spain. People that bought their tickets a few months ago - Have they been sent out yet, or does anyone know when they should arrive? Just the "Juan" On the 07:10 Aer Lingus flight. Day trip was the only option for me. Can't wait! Laighin Break wrote: People that bought their tickets a few months ago - Have they been sent out yet, or does anyone know when they should arrive? I brought via TM.fr in January. Just spoken to one of their guys in France. Apparently tickets via DHL are being dispatched today. Due to arrive tomorrow/friday. I asked why tickets had not been dispatched earlier. He said that the organisers had asked TM not to send out the tickets until after the 30th April. As it was a Bank Holiday in France yesterday that meant that dispatch didn't occur until today, (hopefully)! Hope this helps. I got my DHL delivery yesterday if that's of any comfort to people. Knew it was on its way on Monday when I got a text message saying they had to be signed for and to make sure someone was at my address to do this. Really interesting more accommodation becoming available all the time and people now requesting tickets in specific areas of the ground , posters from England trying to unload Golden tickets be interesting to see how this pans out next week ?. Ticket arrived today. Didn't get the pre-delivery text though. Didn't matter as I was in, (although DHL delivery man almost knocked the front door down in his haste to deliver the package)! footrush wrote: Really interesting more accommodation becoming available all the time and people now requesting tickets in specific areas of the ground , posters from England trying to unload Golden tickets be interesting to see how this pans out next week ?. Wonder will it be full ?. The policy of trying to shaft people with accommodation prices may well backfire, still plenty of hotels not full just crazy expensive !. Be interesting to see how much the prices drop in the next week or so !. Have my eye on a few places just biding my time to watch them get realistic !. Tickets on scalper sights getting close to face value won’t be long before they fall below that most people that were going to go would have decided to go by now at a guess would say there will be between 5,000 and 10,000 of us there which would be enough , the organisers probably confused our travelling numbers with our southern cousins and may pay the price !. Flying to Montpellier tonight and a six hour drive in the morning. Staying Saturday night in a little Basque hotel an hour east of Bilbao. 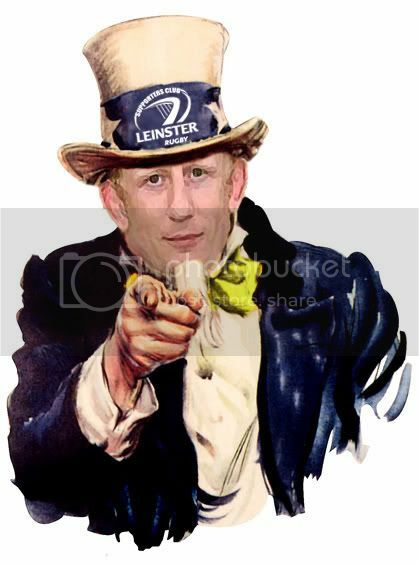 How to support Leinster without costing a fortune. Heard Dublin airport is manic, carparks all full? On the way to the Airport from Kilkenny, Barcelona tonight Bilbao in the morning, it’s all starting to get real now !. Getting v excited. Leave in less than 3 hours. Madrid tonight, Bilbao by 10.00am tomorrow and then the build up.... Can't wait but the excitement is also tinged with a large dose of nerves (primarily because I don't think I have heard anyone predict a Racing win). Just a heads up for tomorrow morning if that's your day of travel. There is a french Air traffic Controllers strike in the Marseille area this weekend. As such there is a possibility of a delayed departure from Dublin to Barcelona in the morning due to slots caused by the strike. Hopefully with 90 minutes of a connection in Barcelona we should be okay. Direct flights from Dublin to Santander/Bilbao shouldn't be affected. Jacklumber wrote: Just a heads up for tomorrow morning if that's your day of travel. There is a french Air traffic Controllers strike in the Marseille area this weekend. As such there is a possibility of a delayed departure from Dublin to Barcelona in the morning due to slots caused by the strike. Hopefully with 90 minutes of a connection in Barcelona we should be okay. Direct flights from Dublin to Santander/Bilbao shouldn't be affected. I hope that this doesn't cause a problem. I'm travelling to Madrid on the red eye, and getting the bus to Bilbao direct, dropping me in for 3pm, just in time to get to the stadium. I hope that I'm not delayed as I'm not going to get to the match in time, which would mess everything up, leaving me in stranded in Madrid once I get there.